I’ve got a regular distillery rocking here at the house. 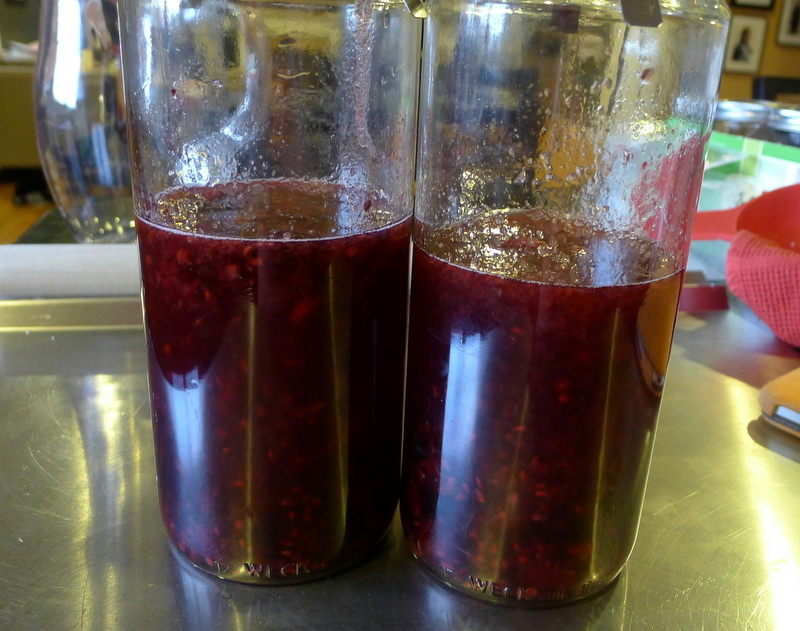 Aside from a great deal of pie, I’ve turned a lot of my fresh summer fruit into yummy booze (see the posts on my cherry adventures). So after I made some blackberry vanilla jam I still had a decent amount of blackberries left from my picking day with H. So I used them up in a batch of blackberry liqueur, from another Homebrew Underground recipe. This doesn’t need to macerate and steep for quite as long as the cherry cordials, but I’m still letting it sit out for a good long time to soak up that blackberry flavor. I even made a vat of the standard sugar syrup recipe from the blog. I’m only on Step One now, so I’ll update when I get further along in the process. Blend with 100 proof vodka to taste – About 8 parts strained and filtered liqueur to 1 part 100 proof vodka. I could just hug you! 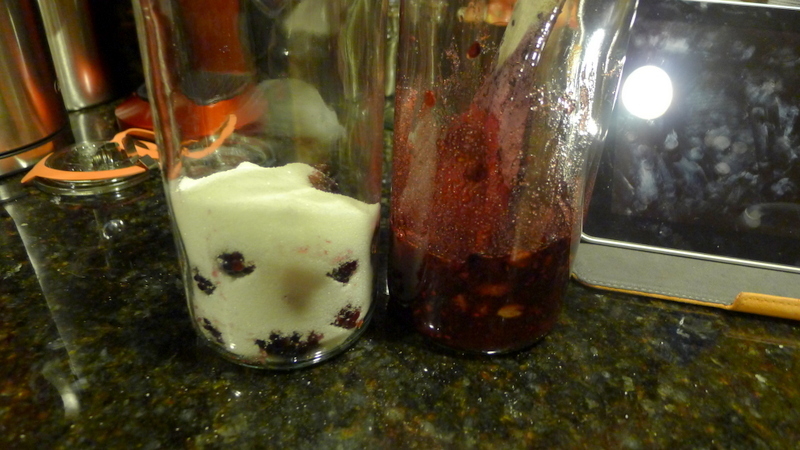 I made this blackberry liqueur a few years back and saved the homebrewunderground .com website so I could always go back to it. Well, that’s what I get for not printing the recipe out! The website is no longer active. I have been searching for part 1 and 2 of the recipe for awhile. Part 1 ingredients were easy to find, but not the directions, etc. and then I found your site. Thank you, thank you! And now I’m going to explore the rest of your site. Oh no! I’m do glad you found it here! That site was a great resource, I’m sad it’s been deactivated!